Minister of Finance to deliver his budget presentation to the National Assembly. The Minister of Finance, Hon. 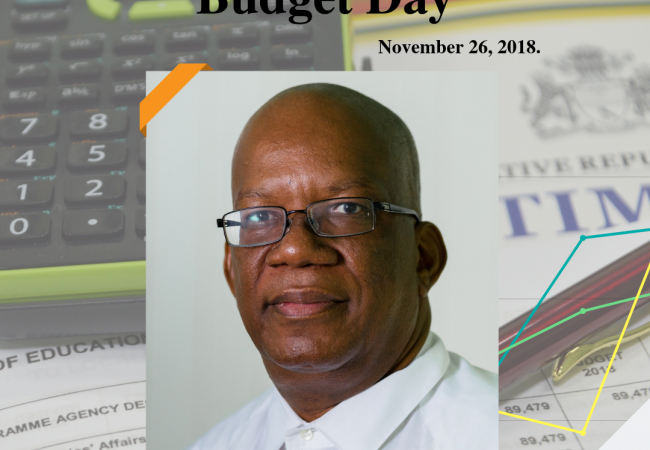 Winston Jordan M.P., will convey his budget presentation to the National Assembly at 2 p.m. on Monday, November 26, 2018. The Presentation will be held in the Parliament Chamber, Public Buildings, Brickdam, Georgetown.